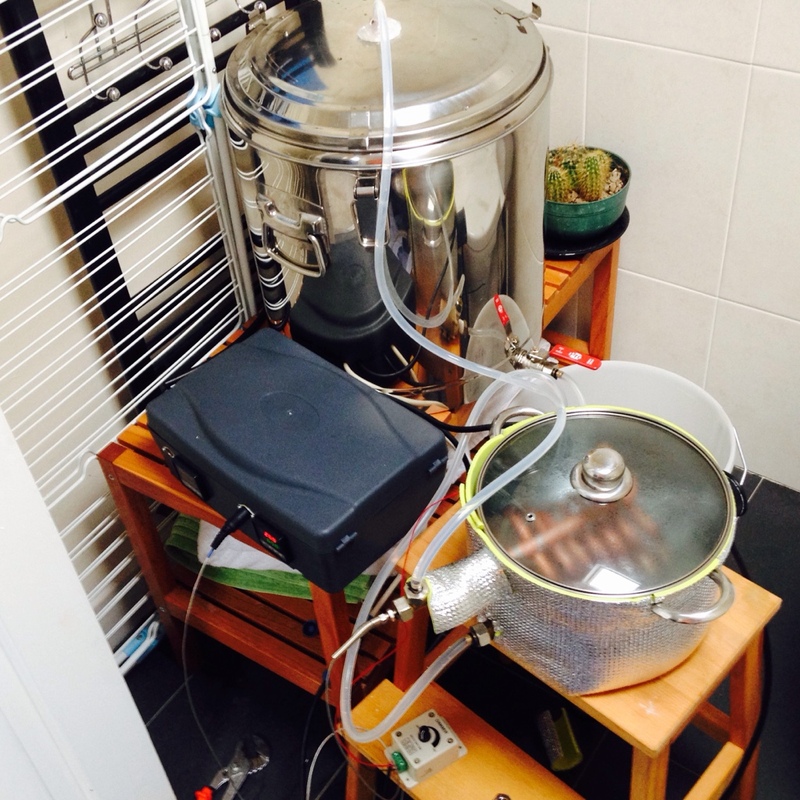 The Brewing Forum • View topic - New Budget(ish) HERMS. Should get a good system from those little beauties... Keep the pictures coming of your build. looks like someone's got the brew bug I love herms it so much easier and opens the door to lots of choice . 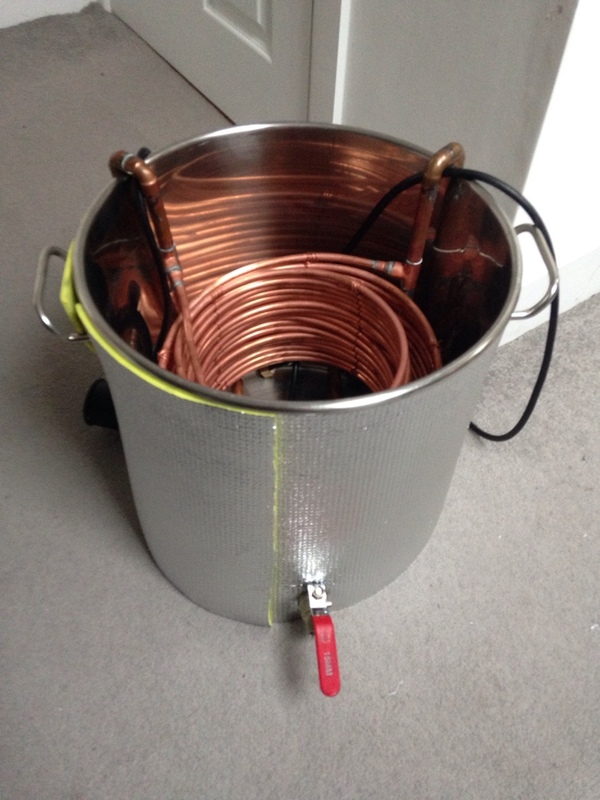 My first herms was just a pump 2 pots and some copper coil with a gas burner and just monitored temp by sight and switched gas on or off , no wires . Bending from Rick) and some nifty soldering into the tank fittings. Basically nothing I can't do in 20 minute bite size chunks. My fantastic wife recommended I get the brewery set up, but while she didn't realise how big this project was going to be, she's been very ok with it. Must take her out for dinner! pittsy wrote: looks like someone's got the brew bug I love herms it so much easier and opens the door to lots of choice . Hi pittsy, what extra choices would you say are available over a 3 tier gravity system? Looking great. I'm not sure I have made anything that doesn't have some of my blood sweat and tears in it. Step mashing is easy with herms with 3 tire or single pot and allows you to brew weiss beers and such like without any problems and also gives you clear beer into the fv . Fair enough. I think I did the right thing! Looking Grand But you say you cut the fingers but I cant see any proof:) real breweries are built with sweat n blood plumbers blood doesn't count only brewers blood holds the magic hehe. The copper has all been degreased and oxides and sulphates dissolved in citric acid. Just testing and calibrating and a final rinse down and we are good to go! Aiming for the bank holiday. Thanks mark1964. After months of obsessive behaviour and good old fashioned pottering, that's exactly what I need to hear! The plastic 3v system I built was a bridge job and it always went wrong and failed to keep temps etc. I'm very excited to have a brew day with this gear... Just need to wait for good weather now!